We are committed to providing the best experience to our customers. 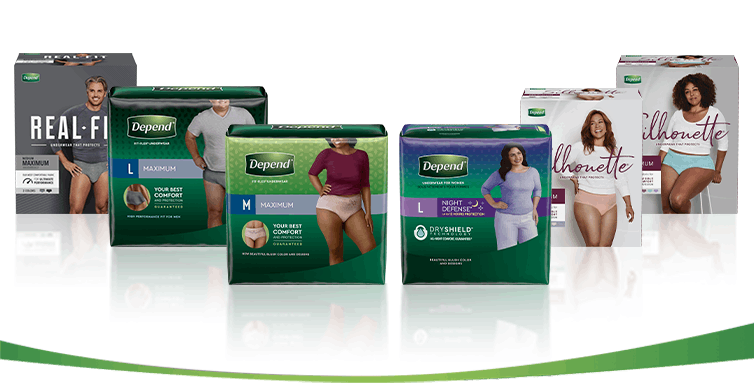 Purchase any Depend® Fit-Flex® (Maximum Absorbency) or Depend® Night Defense® products and if you are not completely satisfied, we’ll give you your money back. Include the original UPC from the package in the envelope. UPC Code must match offer packaging.